General Motors CEO Mary Barra speaks at an Axios event in Boston. Photo: Lawrence Jackson for Axios. 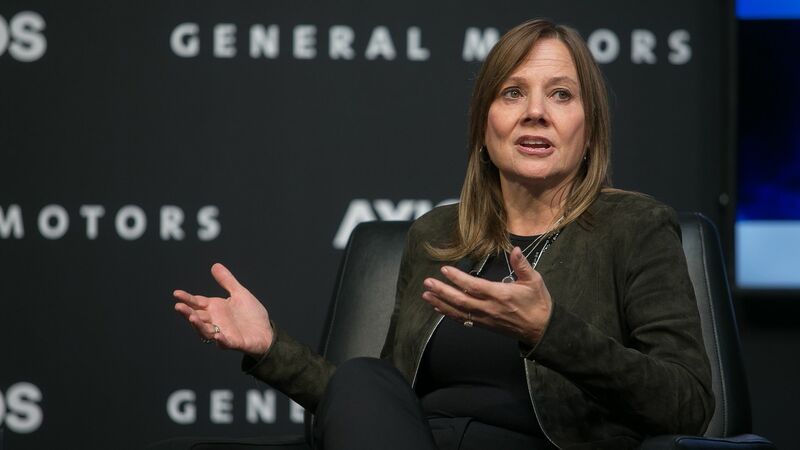 Speaking at an Axios event in Boston on Friday, General Motors CEO Mary Barra said the company is flexible when it comes to any partners for its on-demand driverless car efforts. Flashback: Back in 2016, the automaker took a stake in Lyft and announced plans to develop a network of autonomous vehicles with the startup. That was before Softbank (a major investor in Lyft's rival, Uber) announced an investment in GM's own self-driving car unit, Cruise.